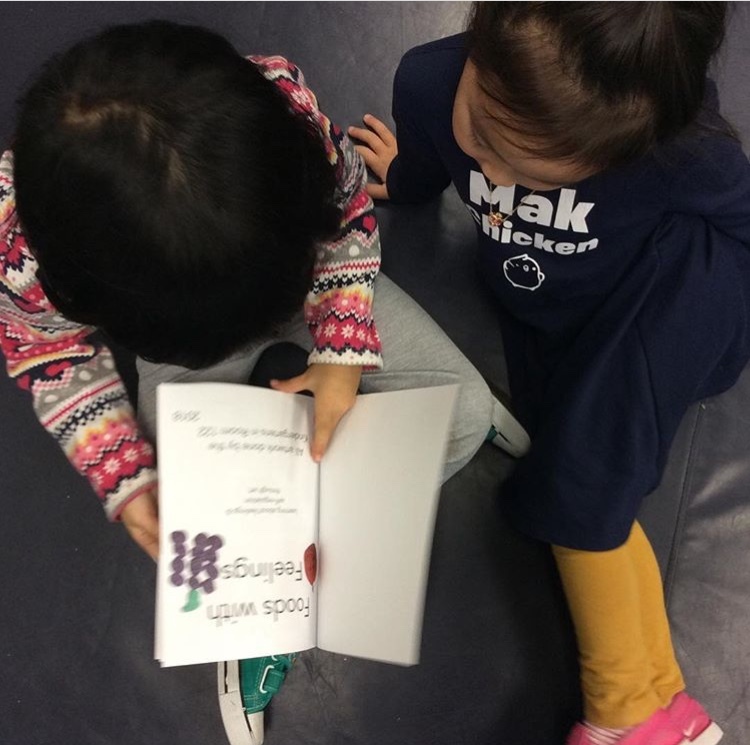 "Every child has a different learning style and pace. Each child is unique, not only capable of learning but also capable of succeeding. 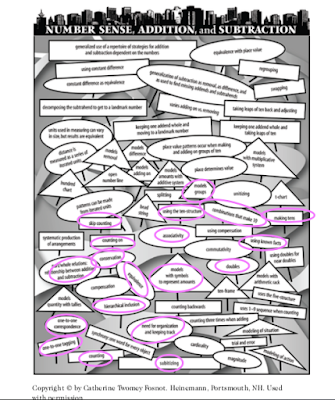 Many people believe that Kindergarten students are unable to grapple with complex mathematical ideas. This is not true. Kindergarten students are capable of exploring mathematical ideas when it is done through play and is initiated by their ideas and interests. 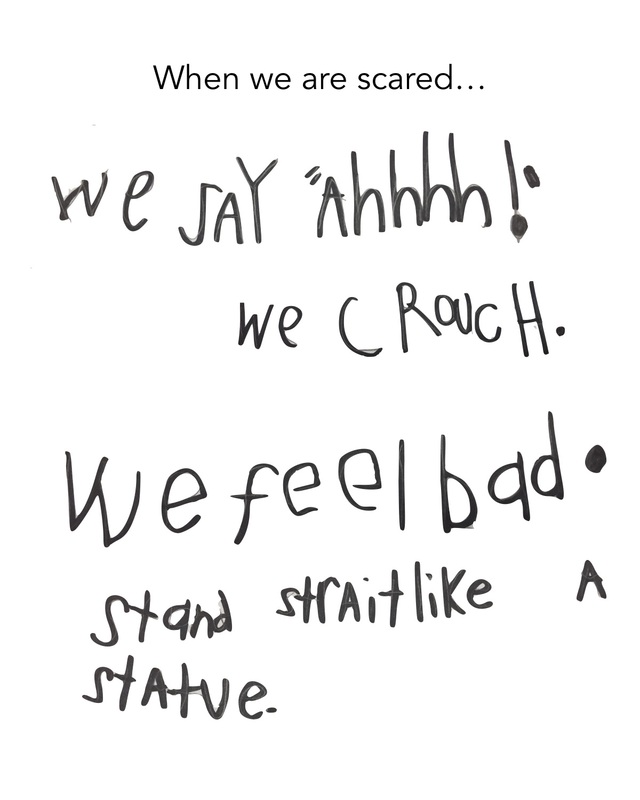 As educators, we need to be listening, watching, questioning and prompting as they explore. 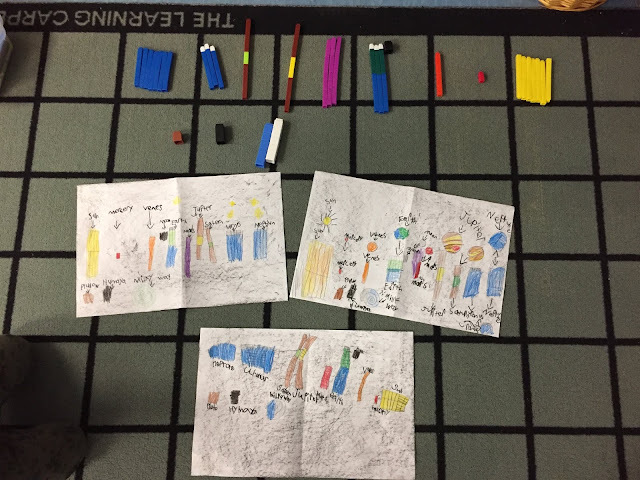 A group of Year 2 students were using cuisinaire rods (a math manipulative) to create the solar system. They ensured that the sun was yellow, Earth was green and blue and all the other planets were accurate. They then wrote about their creation, sticking mostly to science understanding and sharing their learning from our space inquiry. We prompted them to count how many cubes were in each planet they created. As the cuisinaire rods are grouped together, they could not separate them to count one by one. We worked on using different counting strategies- counting by 10s, using friendly numbers and counting on. They recorded the totals on sticky notes. As the educators, this was our goal- building math strategies to count larger numbers of objects. But, what unfolded next was because of these mathematicians thinking critically about their work and their knowledge about planets. What was the first problem? J.C- So when I came, Saturn was thin then I made it thicker and then I saw that Venus is supposed to be the same size as Earth, but we did Mars as the same size as Earth. So we changed it so Venus is the same as Earth. And is Mercury the smallest planet in the solar system? What happened when you added more cubes to Saturn? Which is the biggest in the solar system? How many cubes was the sun? At first it was, but then you made it bigger. How many did it have after? As you can see, these mathematicians were thinking about so many different concepts during this play experience. 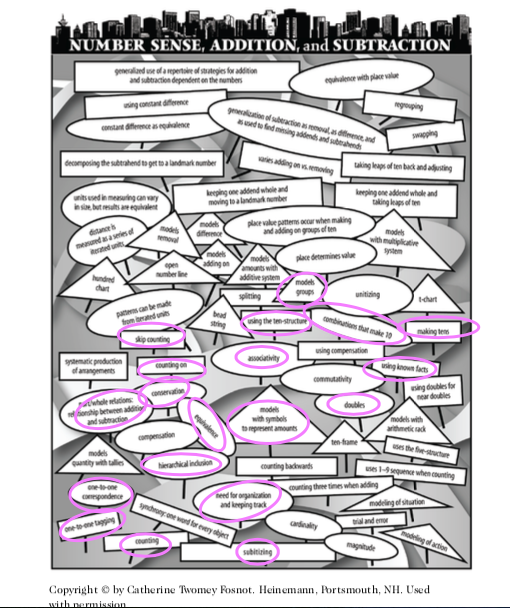 Using Cathy Fosnot's math landscape, you can see they have begun to use a variety of strategies and explore and use a number of different mathematical concepts and skills. They combined their learning about the planets with their understanding of quantity and size. Give your students (or your child) the chance to experiment with complex math through play. 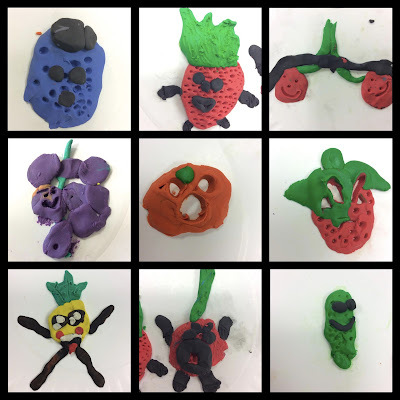 Provide open ended materials that encourage a variety of play, but most importantly...believe they are capable, listen to their ideas and challenge them to think critically about their creations. 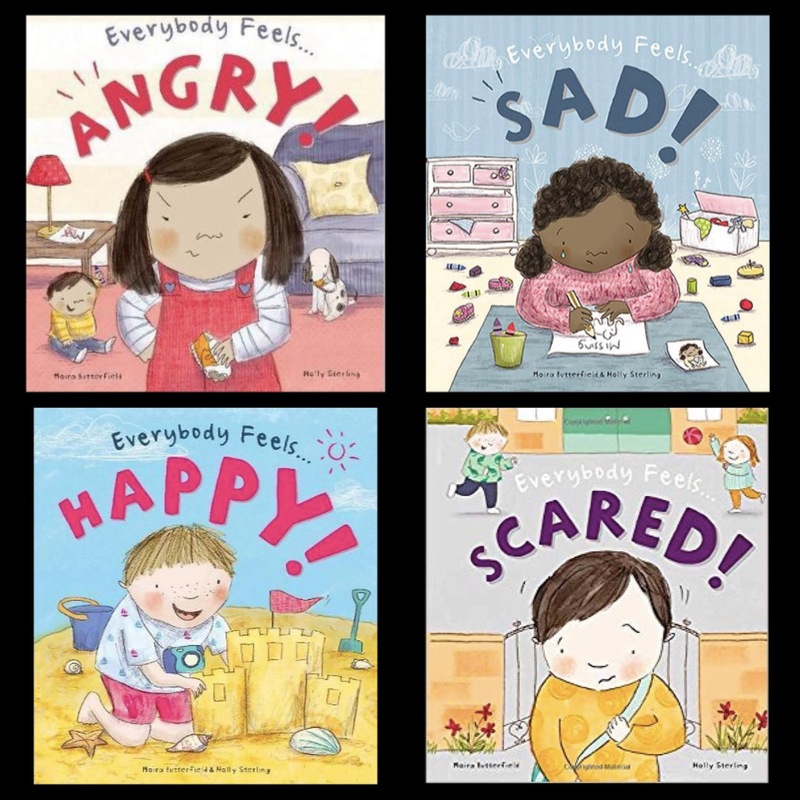 "Art has the role in education of helping children become like themselves instead of more of everyone else"
At the beginning of each school year, we spend a lot of time learning about emotions and self-regulation. We use the Zones of Regulation to support building language around feelings and emotions (See last year's post about how we use Zones by clicking here). We spent time reading a variety of books about different feelings. 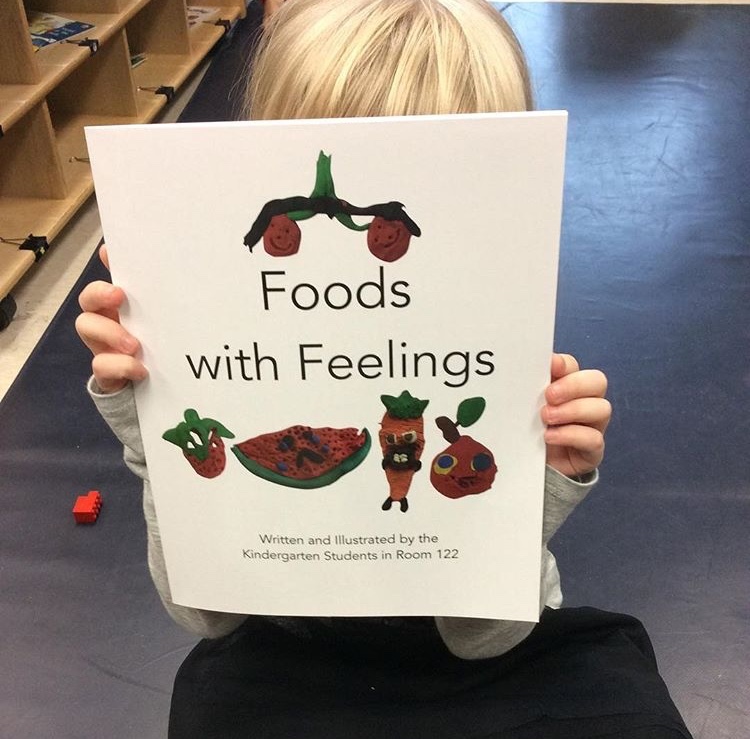 We learned that all feelings are okay. It's okay to be sad, or scared, or angry, or frustrated, or happy. 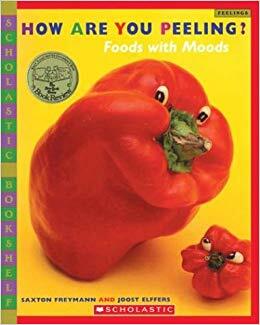 We read the book 'How are you Peeling? Foods with Moods', which inspired a wonderful art and literacy project for our learners. 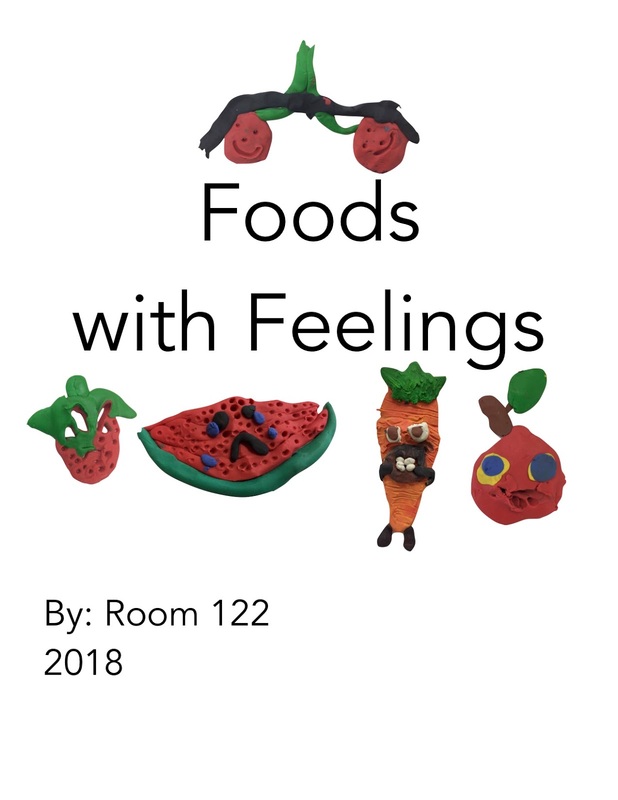 Our artists decided they wanted to create their own foods with feelings. 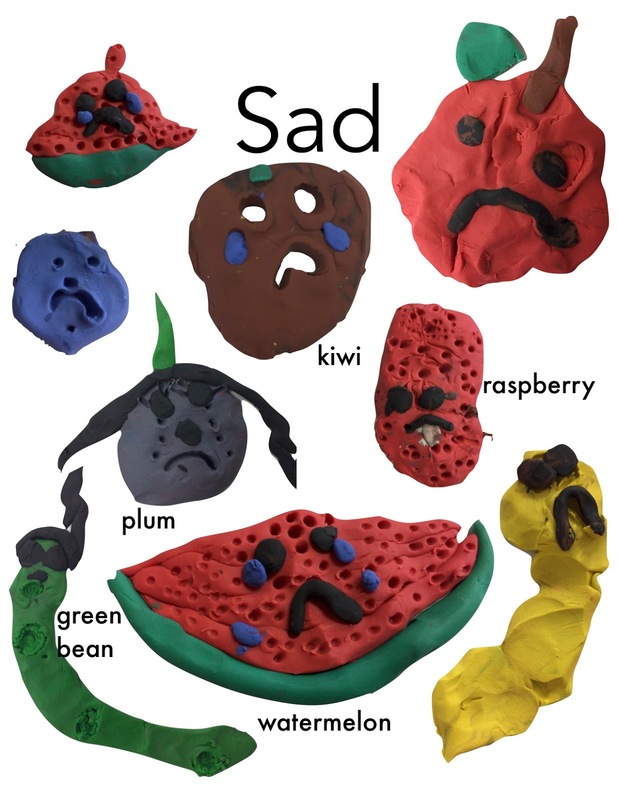 Our artists used their knowledge of feelings to create a representation of different emotions using clay/plasticine. We then turned their artwork into a book! 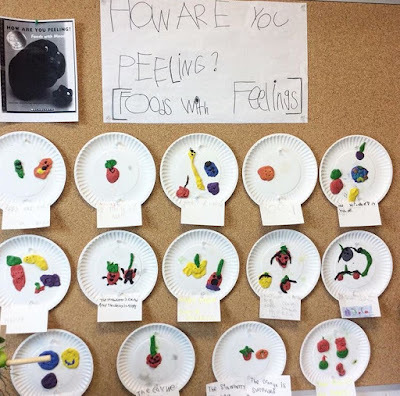 Our writers added words to describe each feeling. 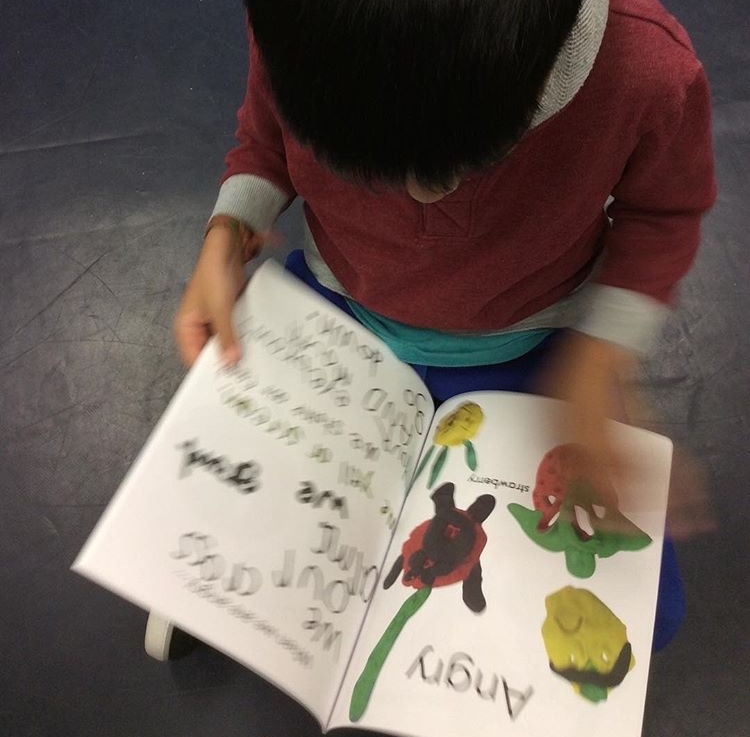 (We used the company Book Bub to have our book published). Our spider inquiry continued to grow! We learned so much about spiders and even got to speak with experts. While we were learning about spiders, the ROM (Royal Ontario Museum) had a spider exhibit. As we were unable to organize a last minute affordable trip down, we contacted the ROM to see what our options were. We ended up having a video call with their 'spider wrangler' and a scientist and it was AMAZING! A spider web created by J.C.
A trapdoor spider created by P.X. A spider using a sticky globule to catch a bug by B.R. 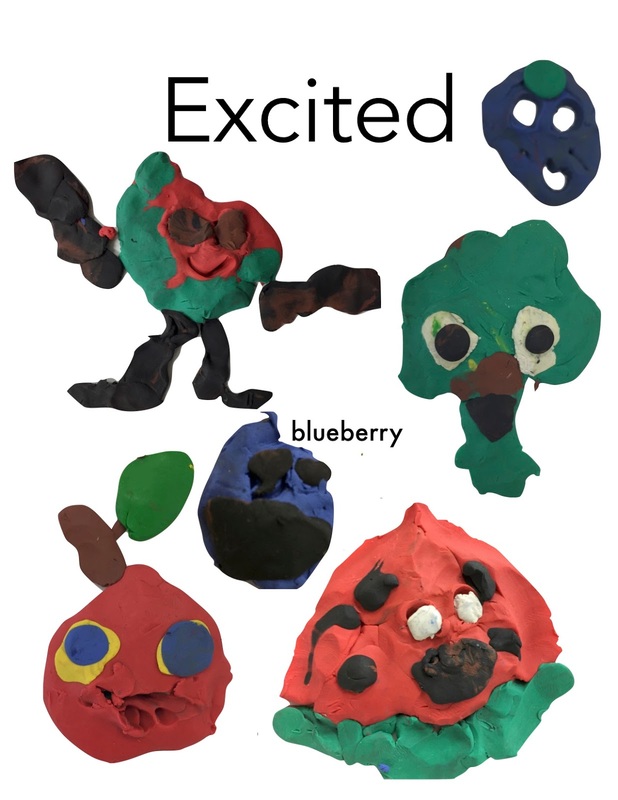 Students showed their learning in play all over the classroom! We created these Peacock Spider holiday gifts for the families. Before our call with the ROM, our learners wanted the experts to know all the information we knew. 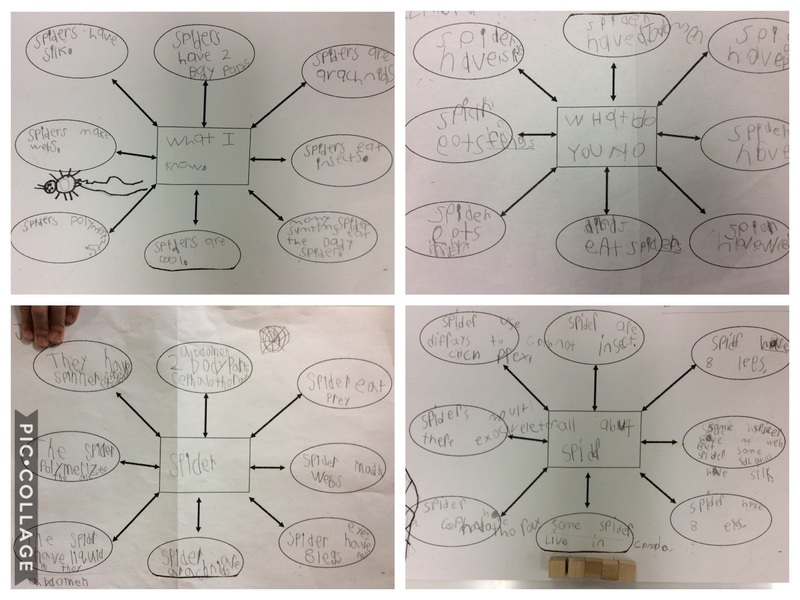 So they decided to use mind maps to share all their knowledge. 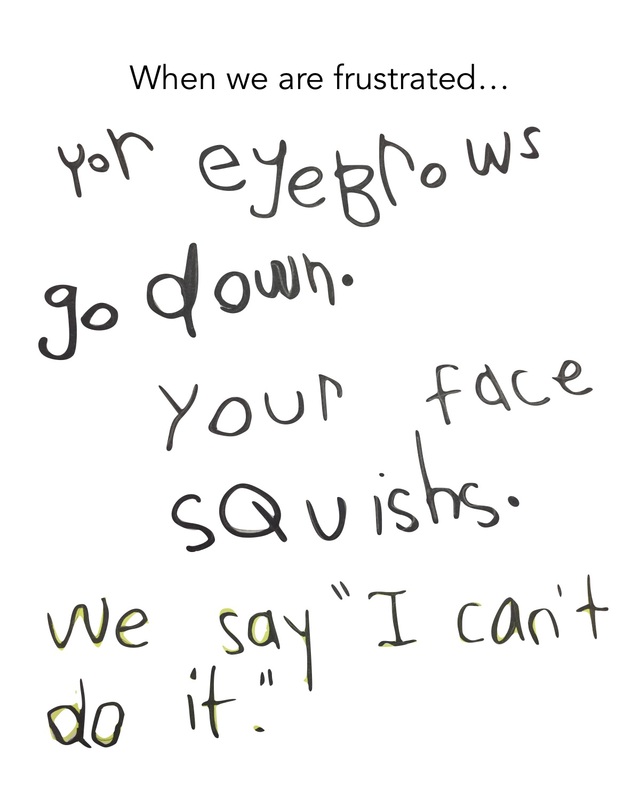 They then wrote the questions they wanted to the spider experts to answer and we sent them ahead of time to the ROM. And then we had our call! A big thanks to the ROM! We are now all spider experts! What a great way to end our inquiry. We have been learning so much about spiders! 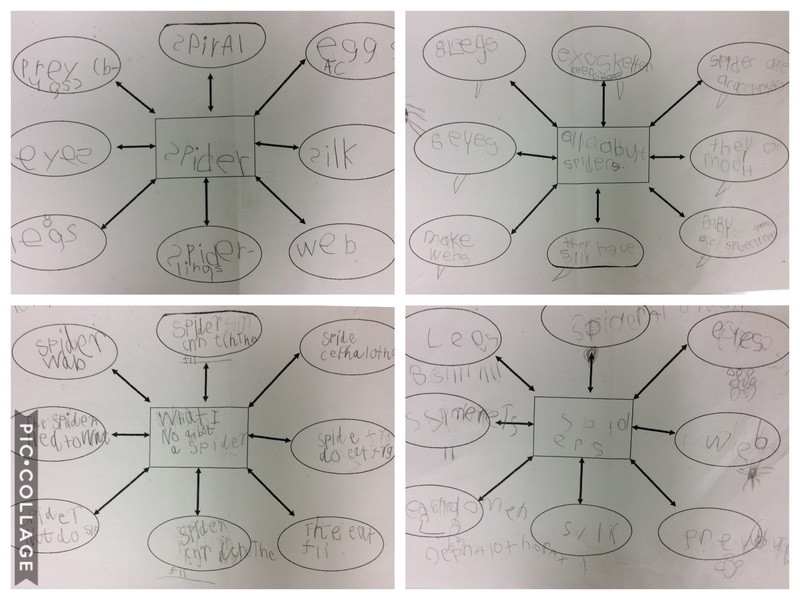 The vocabulary our Kindergartens are using has been blowing us away! 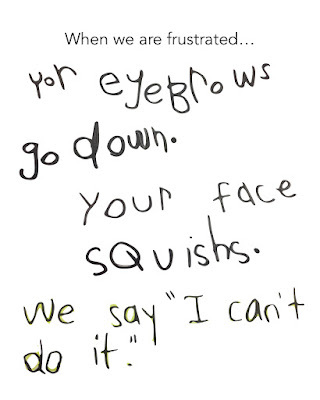 It really shows that kids will learn what we expose them to, so set the bar high and they will make it up there. D.S- I wonder how spiders are born? B.R.- I wonder why they have 8 legs? J.C- I wonder how they make their webs? I.S- I wonder why spiders have webs? D.K- I wonder why spiders have a line on their bodies? 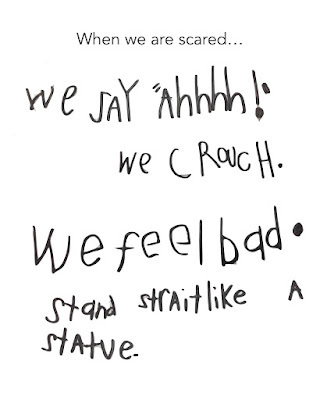 A.W- I wonder why do spiders crawl around? A.S- I wonder why they have webs? P.X- I wonder why bodies have colours? M.R- I wonder why spiders need webs? A.G- I wonder how many eyes spiders have? J.R- I wonder how many eyes spiders have? R.B- I wonder how spiders get big? P.W- I wonder why some spiders are poison? Z.D- I wonder why some got stripes on them? This video (below) was what really sparked an interest and fascination about spiders. We learned a lot about spiders and their body parts from books and videos. 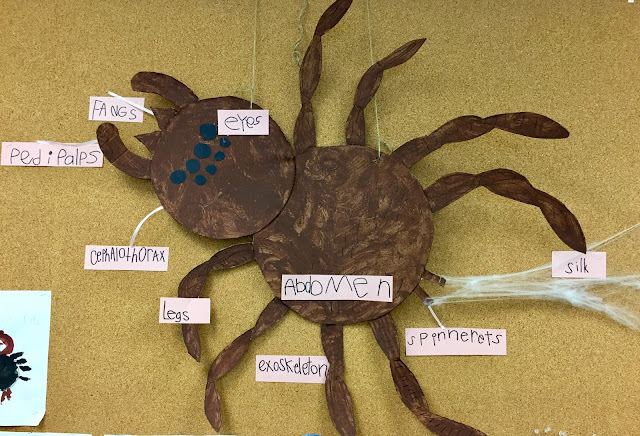 Our learners worked together to create a large spider for our classroom that they painted and then labeled all the parts. Our artists also painted spiders as a way to share their learning. We also learning about spiders' webs and how they make them. 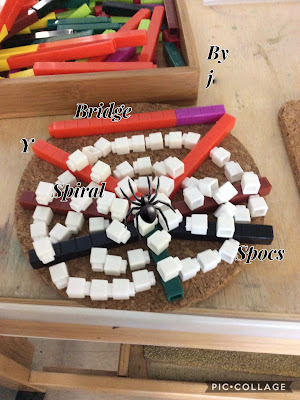 This video and learning inspired our learners to create their own webs and spiders using various materials around the classroom. D.S- I wonder how the bugs want to fly in the web? H.M- I wonder why the bugs will go to to the web and the spider will eat him? P.S- I wonder how the bugs could go in the spider’s web? P.W- how does the fly want to go in the web and think the spider don’t want to eat it? 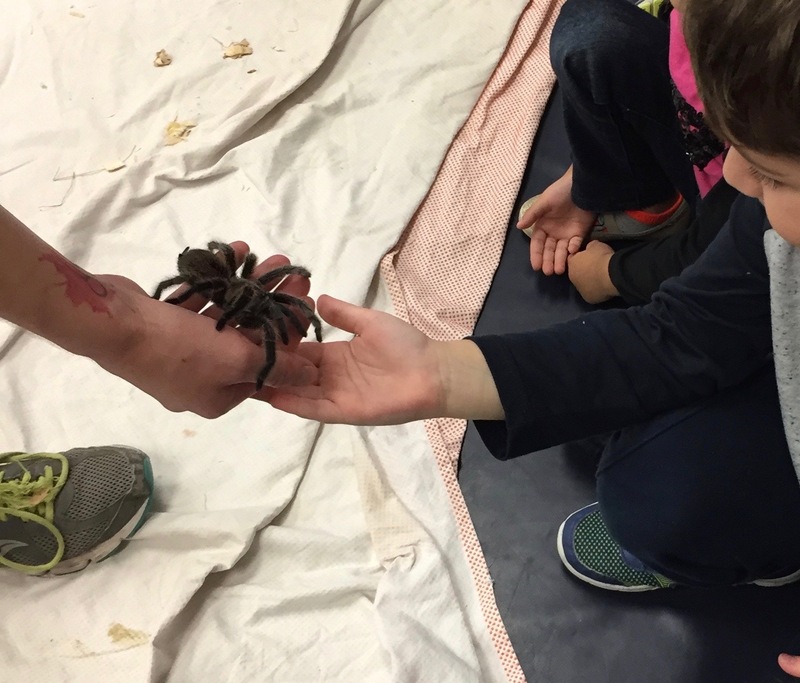 We had Zoo to You come visit and they brought a tarantula for us to high five! 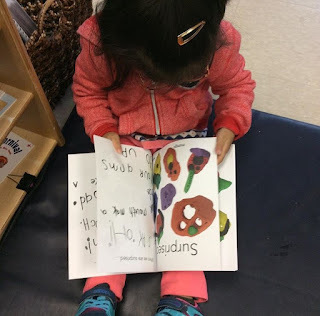 This blog documents my journey with play-based & inquiry-based learning in the full day kindergarten classroom. I hope you enjoy following the learning of our students and our team- Claire Gerrell, Rose Landolfi & me- as we discover, observe and explore the world around us. 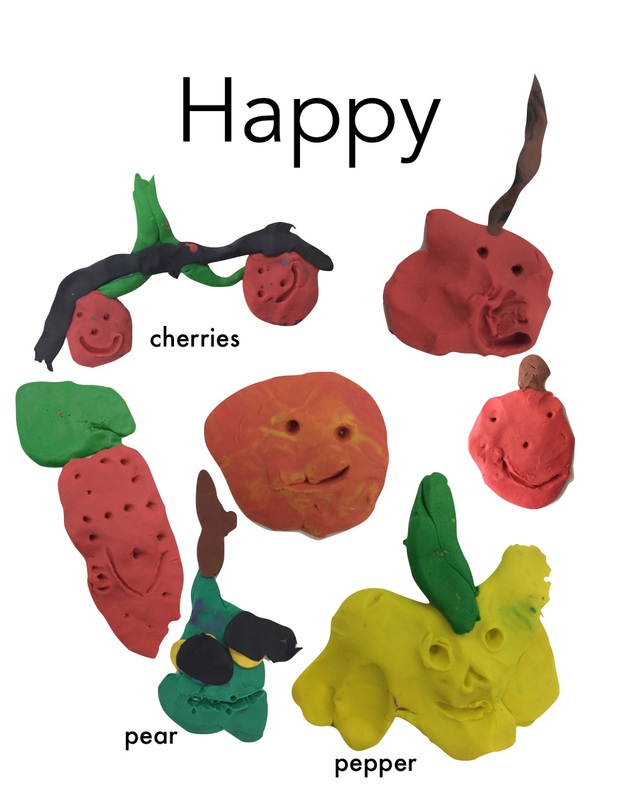 I hope it will inspire you to believe in the power and creativity of young children. Check us out on Instagram- @learninginroom122 and Twitter- @learninginrm122 ! (Photo by Catch the Spirit Photos by Rhonda) Please respect that the images on the blog are my own. Embracing Fall: Leaves, the Farm & Soup! Can Plants Grow in Rocks?